The industrial designer Marc Sadler developed an unmistakable lamp basing on fibreglass, spreading light through its conical silhouette in an interplay of light and shadows on a semi-diffuse way. 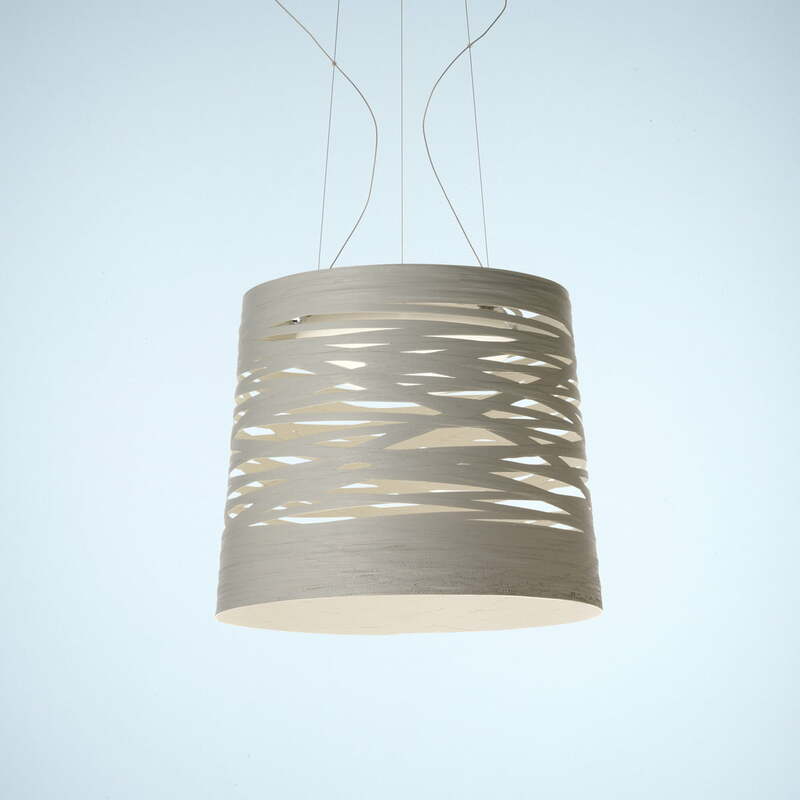 The semi-diffuse light emerges by means of shining through a loosely braided chest of the lampshade. This one is made of braided, thin band, which result in a slightly conical shape. The upper part is wide and thick, the middle part is an organized chaos, which spreads the light through smaller and bigger holes. The halogen illuminant is in the upper part of the shade, which is the reason why glare-free light is avoided. The combined material is made of lacquered fibreglass. This is why the shade is stable and less sensitive. The used material for the support and hanging hardware is also lacquered and easy to be cleaned if needed. 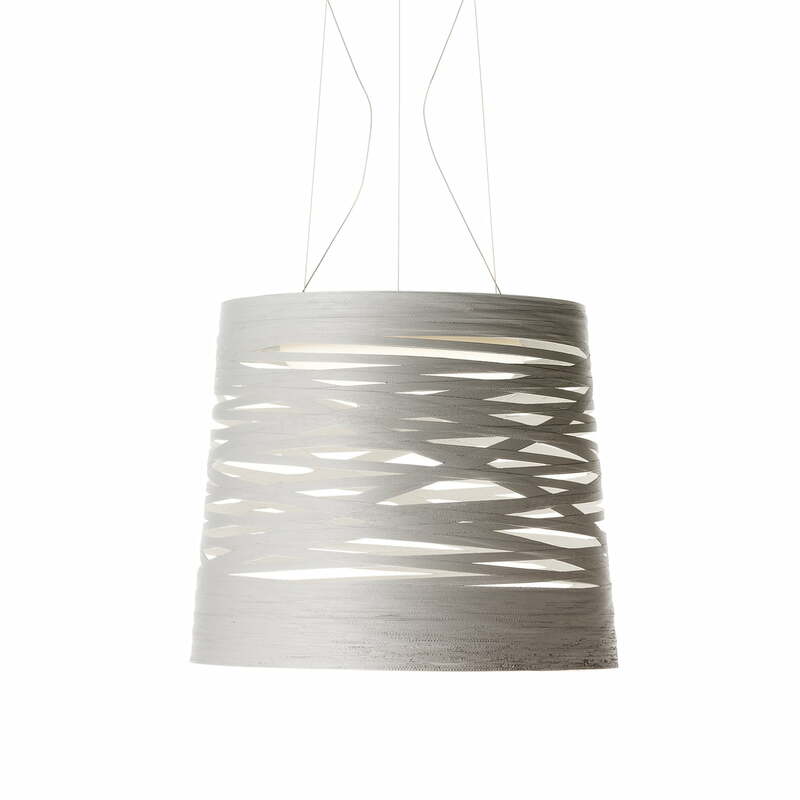 The Tress Grande pendant lamp is wonderful when installed on top of a big dining table or in the living room. Sculptural design that creates a unique light shadow play - this way designer Marc Sadler explains the Tress light collection. 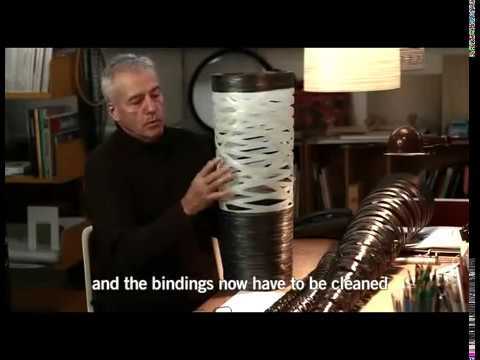 This video reveals more about the design and the source of inspiration for the Tress lamps series made for Foscarini. 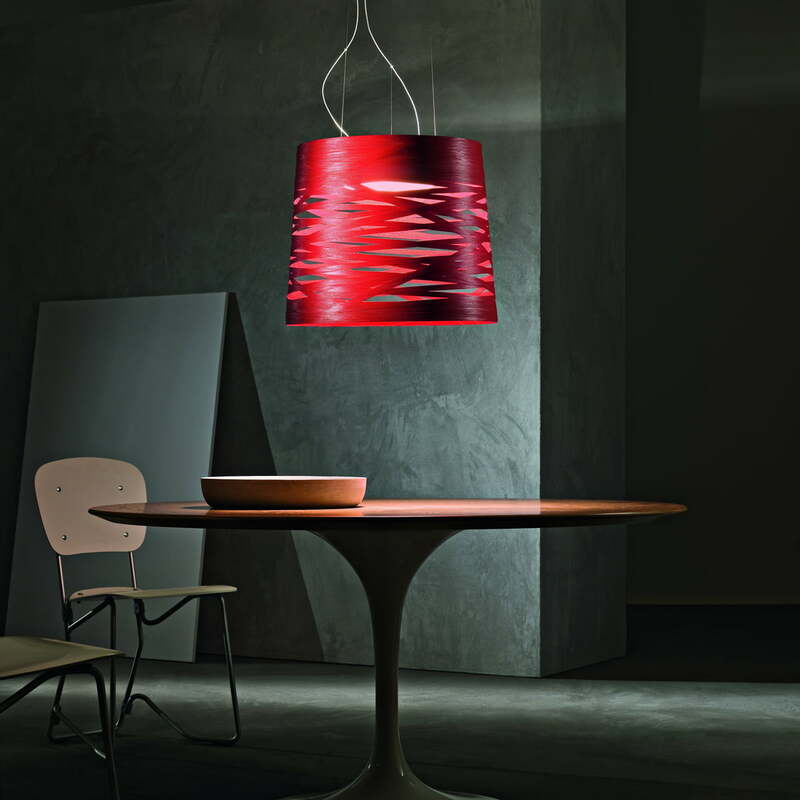 Single image of the Tress Grande pendant lamp by Foscarini in white. Loosely braided bands are responsible for semi-diffuse light and they are stable and dirt-repellent because of the lacquer.